Guardian Eagle is a Data Protection company that secures your data from the inside out. We truly save companies from data nightmares! Our legacy expertise in databases, business continuity, replication, performance tuning, and data security has allowed us to help our customers experience less downtime, zero data loss, and highly tuned systems that perform and scale. We have all seen a dramatic increase demand for cyber-security products and services. Interestingly, the most valued assets companies must protect are in the database. This is why Guardian Eagle brings a ton of new and fresh value to the security problem. We have always approached the issue ‘from the inside out.’ In fact, over the past several years, we have seen our legacy data-protection solutions save our customers from data security nightmares that have included external attacks that made it past traditional measures. Historically, most security solutions approach the problem from the ‘outside-in,’ deploying more and better firewalls, intrusion detection, active monitoring, AI, etc. Yet, daily, we see well-known companies have these security measures by-passed and shocking amounts of our personal data escaping. Often, we find out companies aren’t focusing enough on their data and the breach or attack could have been thwarted. But at Eagle, we have been protecting our customers’ data for years through encryption, audit, redaction & masking, redundancies, advanced access controls, and additional solutions that extend out from the data layer. Our data-centric expertise and approach uniquely positions us in the market to improve security and ‘save companies from data nightmares!’ To better accomplish these newly highlighted goals, we rebranded the company from Eagle Datagistics to Guardian Eagle in Jan of 2019. Our company philosophy is to positively influence everyone we touch. This applies to clients, vendors, partners, and each other. These ideals are reflected in our five core values: Customer Experience, Excellence, Feed Passion, Teamwork, and Good Karma. We are so committed to our core values that each quarter we recognize each other for practicing them in our daily work. 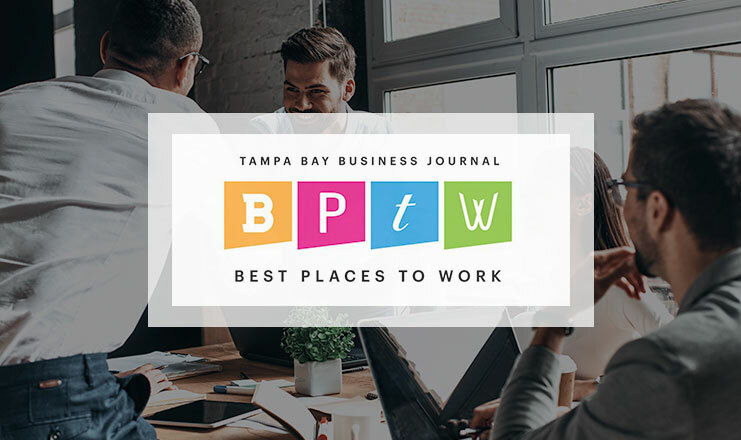 In 2016, we won the Tampa Bay Business Journal’s award for Overall Best Place to work. A large part of winning that award is a reflection on our commitment to our Core Values. We thoroughly mean it when we say that our company philosophy is to have a positive influence on everyone. This is why, in addition to our day-to-day operations, we make it a priority to get involved in our community. We encourage and support serving different organizations at all levels of our company. Click below to read some of our most recent collaborations. At Guardian Eagle, teamwork and a positive culture are paramount to how effective and efficient we are as a team, and as a result of how good of a job we do for you! Meet some of the people that save companies from data nightmares on a daily basis. We are proud partners of industry leaders. Click each logo to learn more about our partnerships. Are you looking to join a dynamic team of hardworking professionals to build your career? Do you enjoy coming to work to solve problems and create solutions? We want to meet you!